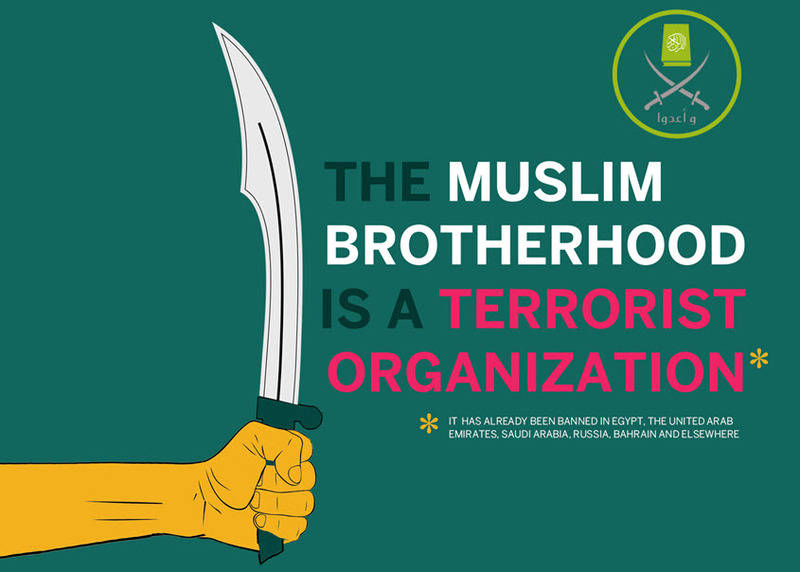 Most notably, the US will most likely (soon) be adding the Muslim Brotherhood, a root terror organization that Obama, by the way, adored, to the official list of known terrorist organizations of which many other countries have already recognized & published. Khashoggi was a Trump critic and stalwart advocate/member of the Muslim Brotherhood terror organization, having joined with them all the way back in the seventies. 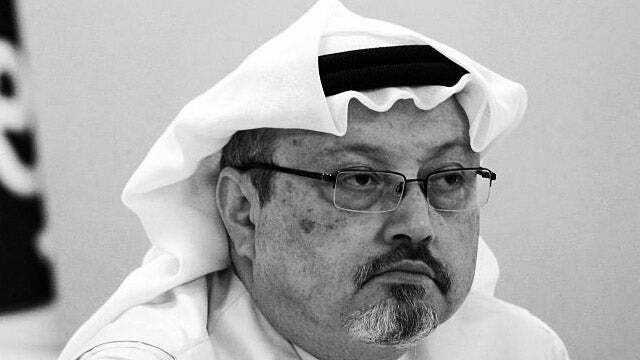 I think Jamal Khashoggi was much more than a journalist. Yeah, he wrote opinion pieces for the Washington Post, and so they’re running around saying he was an American citizen, an American journalist. But I don’t think that’s who the Saudis saw when they saw Jamal Khashoggi. I think they saw an enemy of the regime. I think they saw a guy who’s tight with the Muslim Brotherhood. The Muslim Brotherhood, the agents of change in the Arab Spring, the Muslim Brotherhood and the Saudis do not get along in any way, shape, manner, or form. No, no. Do not misunderstand me. I’m not advocating or trying to excuse whatever they did to Khashoggi. I’m just trying to tell you that he’s not an innocent, minding-his-own-business journalist going about his life gunned down. He was an enemy of the regime, and he once held a position in the Saudi government ” I’m telling you, the Drive-Bys have been dying to tie Trump to this murder. I think that they would love to undermine Trump’s relationship with crown prince Mohammed bin Salman and the Saudis in general, and so would the Democrats. It’s just the latest in a never-ending parade of events that the left thinks they can use to destroy and get rid of Trump. Khashoggi was a friend of Osama Bin Laden. They went to high school together. But that’s not what you need to know about Khashoggi. Khashoggi’s ties to the Muslim Brotherhood are what’s really relevant here. I think… They’re trying to tell us that Khashoggi was murdered by Mohammed bin Salman because Khashoggi was being critical of the regime and you just don’t do that. And while that’s true, I think there’s a lot more to this than just he got killed because of stuff he was writing in the Washington Post. 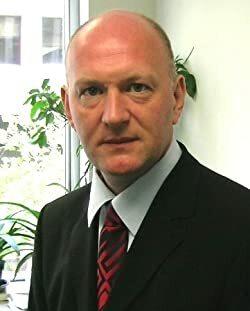 I found a piece on him by John R. Bradley at Spectator.us, and Bradley has been following Saudi politics, Middle East politics, Muslim Brotherhood expertise for many, many moons. And his story ran three days ago, and you haven’t seen a thing about this anywhere in the Drive-By Media like Missourians are not seeing a word about Project Veritas exposing Claire McCaskill. The piece is entitled, “What the Media Are Not Telling You About Jamal Khashoggi — The dissident’s fate says a lot about Saudi Arabia and the rise of the mobster state.” Now, here are just some biographical things. The fate of Khashoggi has at least provoked global outrage, but it’s for all the wrong reasons. We are told he was a liberal, Saudi progressive voice fighting for freedom and democracy, and a martyr who paid the ultimate price for telling the truth to power. “This is not just wrong but distracts us from understanding what the incident tells us about the internal power dynamics of a kingdom going through an unprecedented period of upheaval. It is also the story of how one man got entangled in a Saudi ruling family that operates like the Mafia. Once you join, it’s for life, and if you try to leave, you become disposable.” So the point this piece is gonna make is that Khashoggi’s not a distant and removed commentator/journalist writing about the Saudi kingdom from afar. He used to be part of it. He’s not… Well, the Khashoggis… Adnan Khashoggi was very, very tight with the royal family. I don’t know about bloodlines, but he was… You’re not allowed to become Adnan Khashoggi and acquire that much wealth — particularly running guns and arms — without being tight with the royal family. Jamal Khashoggi is a cousin of Adnan Khashoggi. This piece makes it clear (as you’ll hear in a moment) that Jamal Khashoggi — at one time in his life, at one point — was very, very tight with the ruling family, the royal family, was in the regime. “This is not just wrong but distracts us from understanding what the incident tells us about the internal power dynamics of a kingdom going through an unprecedented period of upheaval. It is also the story of how one man got entangled in a Saudi ruling family that operates like the Mafia. Once you join, it’s for life, and if you try to leave, you become disposable. In truth, Khashoggi never had much time for Western-style pluralistic democracy. “In the 1970s he joined the Muslim Brotherhood, which exists to rid the Islamic world of western influence.” Now, that right there will provide all of us the first source of serious conflict between Khashoggi and the current Saudi ruling royal family. “[T]he Muslim Brotherhood … exists to rid the Islamic world of western influence.” What’s Mohammed bin Salman doing? He’s trying to westernize the country! He’s a Millennial. He’s trying to reform it in certain ways, letting women vote and letting women drive, but not much else. He wants the world to think that there’s massive reform happening in the kingdom. So he does something very visible, like letting women drive. But not much more. They’re still very subjugated. He’s meeting with all of the tech people in Silicon Valley and the Hollywood people. He wants to build a brand-new city from scratch — a huge, dynamic, brand-new city — that incorporates money from Silicon Valley and Hollywood and involves all of those people as developers and investors. But nevertheless he’s the first of the ruling royal family to ever talk this way, to ever travel the world and set something up like this, and this is anathema to the Muslim Brotherhood! They can’t stand this! There’s something else that the royal family’s doing, and I mentioned this when I was talking about who Khashoggi was and Mohammed bin Salman last week. 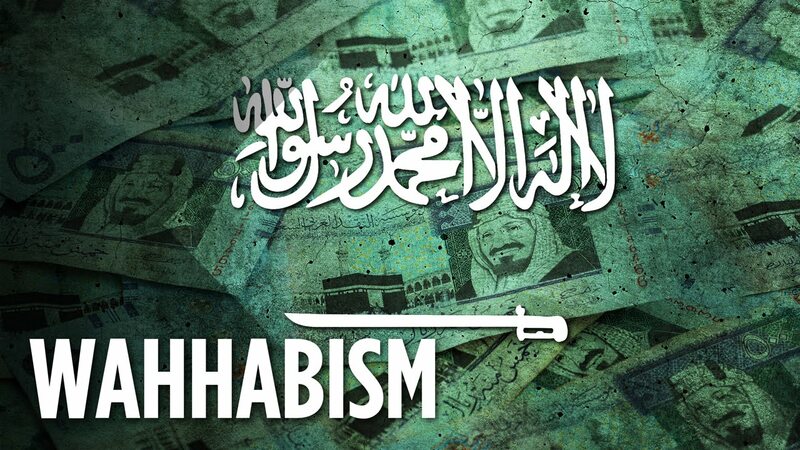 That is this: Up to 9/11 and even many years after 9/11, the ruling religious dominance in Saudi Arabia was Wahhabism. All of the clerics, all of the imams were Wahhabi Islamists, and these are the terrorist-inspiring Islamists. These are the imams, the educators at all the universities which teach and recruit and inspire the Osama Bin Laden-type terrorism. Mohammed bin Salman wants to rid Saudi Arabia of the influence of Wahhabism. Well, that’s not gonna sit well with the Muslim Brotherhood. The Muslim Brotherhood is not particularly tied to Wahhabism. They have their own version of terrorist Islam. But the fact that the Saudi rile family, which, by definition, and by corporate structure, is in charge of Islam. Mecca and Medina are… Mecca is in Saudi Arabia. The Saudi royal family is Islam. It’s their charge with maintaining it, protecting it, defining it, the mosques, particularly in Mecca. And for Mohammed bin Salman to come along and try to eliminate the influences of Wahhabism, while at the same time importing such corporate scum as Hollywood and American technology? This is considered to be an absolute affront to people like the Muslim Brotherhood, which wants to get rid of any Western influence in Islam or in Saudi Arabia or anywhere else in the Islamic world! So Mohammed bin Salman has made himself a huge, huge target. Khashoggi, as a Muslim Brotherhood member, would be diametrically opposed to everything Mohammed bin Salman is doing. And that has been well established and has been documented. Again here, according to Mr. Bradley, “Khashoggi never had much time for Western-style pluralistic democracy. In the 1970s he joined the Muslim Brotherhood, which exists to rid the Islamic world of western influence.” Well, here comes Mohammed bin Salman incorporating Western influence in Saudi Arabia. Khashoggi “was a political Islamist until the end, recently praising the Muslim Brotherhood in the Washington Post. “He championed the ‘moderate’ Islamist opposition in Syria, whose crimes against humanity are a matter of record. Khashoggi frequently sugarcoated his Islamist beliefs with constant references to freedom and democracy. But he never hid that he was in favor of a Muslim Brotherhood arc throughout the Middle East. He was not an Americanized Islamist. This was a Muslim Brotherhood advocate and member, and he is righteously indignant over the reforms of Mohammed bin Salman and wrote about them. But he threw in the words “democracy” and “freedom” and “liberty,” and this was all designed to cow Western readers and Western journalists into thinking that he was something that he’s not. Much like liberals have to mask who they are, that’s what Khashoggi was doing. “He had been a journalist in the 1980s and 1990s, but then became more of a player than a spectator. Before working with a succession of Saudi princes, he edited Saudi newspapers. The exclusive remit a Saudi government-appointed newspaper editor has is to ensure nothing remotely resembling honest journalism” makes it into the papers. So when the Saudi ruling family hired him to run journalism, it was to be PR. It was to be propaganda. Khashoggi did it. He took the money, he “put the money in the bank,” and he did what the royal family wanted him to do. He made “a handsome living,” which, according to Mr. Bradley here, has “always [been] his top priority. … Khashoggi had this undeserved status in the West” that our caller is talking about “because of the publicity surrounding his sacking as editor of the Saudi daily Al Watan back in 2003. … He was dismissed because he allowed a columnist to criticize an Islamist thinker considered to be the founding father of Wahhabism. 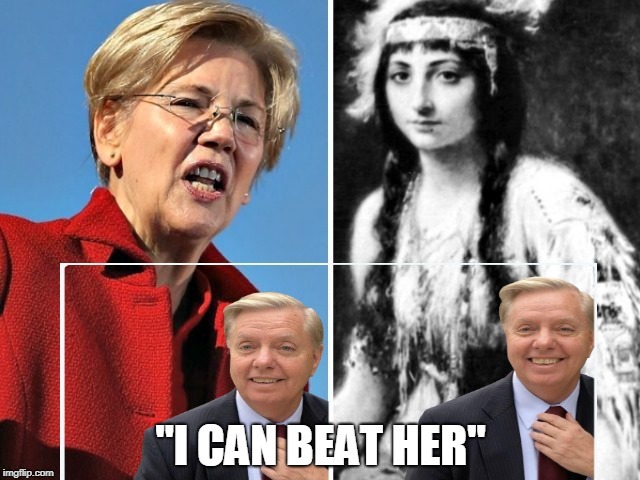 Republican SC Senator Lindsey Graham Taking DNA Test To Best Elizabeth Warren on Native American Content: "I Think I Can Beat Her"
~According to the UK Daily Mail, the lying Sen. Warren's "Pow-Wow" cookbook was literally plagiarized word for word from a French Chef's cookbook ** and she even signed her name with word "Cherokee" on the cookbook. ~The Senator was officially Listed as a "woman of color" at Harvard Law School. But, Trump, it should be noted, is the "mentalist supreme"--he now has Senators taking DNA tests to prove native American Indian content...who saw that one coming? 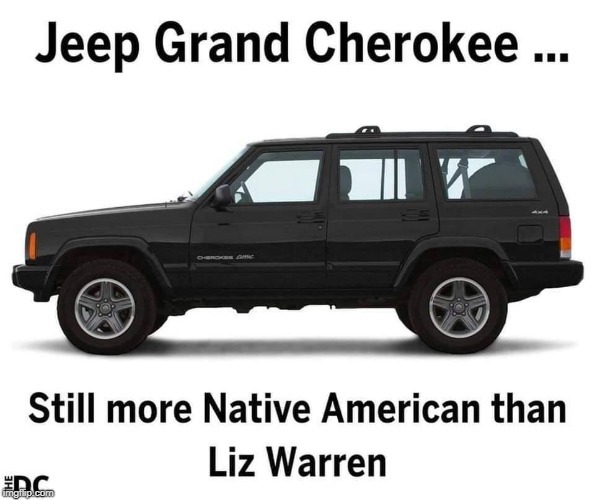 ~ One thing, however, appears clear--Sen. Warren has been undergoing an identity crisis for a very, very, long time--insisting that she's Indian, when, in fact, she's far less native American than the majority of all Americans. ~She's living a lie, but, is it because she's uncomfortable with her true identity or true self? " Serious mental illness includes diagnoses which typically involve psychosis (losing touch with reality or experiencing delusions)"
Senator Lindsey Graham (R-SC) seems to have a newfound "Trumpian" swagger of late, all starting with his fiery speech during Justice Kavanaugh's confirmation - and culminating in several recent clips of the South Carolina Senator giving Democrats what for. On Tuesday, Graham "2.0" told Fox & Friends that he plans to take a DNA test to see if he has more Native American DNA than Senator Elizabeth Warren (D-MA). Warren has claimed to be Native American for decades - and was identified by Harvard Law as a "woman of color" - which promoted her as a diversity hire with a "minority background," prompting Trump to refer to her as "Pocahontas." "I’m going to take a DNA test," said Graham, adding: "I’ve been told my grandmother was part Cherokee Indian. It may all just be talk." He says that he'll announce the results of his test on the show when they come in, joking "This is my Trump moment. This is reality TV." It's about the only excuse that might actually work...meanwhile, a number of special Saudi Operatives will eventually be "taking one for the Kingdom"...Don't lose your heads, guys! Gee, come to think of it, I wonder if they might've consulted with Killary Clinton for the best overall of feasible internationally acceptable explanations? The Washington Post columnist was last seen in public when he entered the Saudi consulate in Istanbul in Turkey on October 2. Previously, Saudi authorities had maintained Khashoggi left the consulate the same afternoon of his visit but provided no evidence to support the claim. CCTV footage shows Khashoggi entering the Saudi consulate on October 2. Khashoggi's fiancée, Hatice Cengiz, who was waiting outside the consulate, says she did not see him re-emerge. The disappearance created a diplomatic rift between Saudi Arabia and the West. 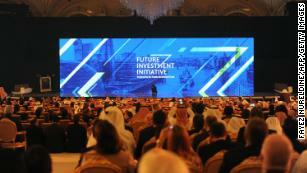 Amid the fallout, international firms pulled out of a high-profile investment summit, the Future Investment Initiative conference, due to take place later this month in Riyadh. The case also caused friction between Saudi Arabia and Turkey, which repeatedly accused the Saudis of failing to cooperate with their investigation. Turkish authorities previously said they believed that 15 Saudi men who arrived in Istanbul on October 2 were connected to Khashoggi's disappearance and possible murder. At least some of them appear to have high-level connections in the Saudi government. On Friday, a source familiar with the investigation told CNN that Turkish authorities have audio and visual evidence that shows journalist Khashoggi was killed inside the consulate. CNN reporters saw Turkish investigators, including forensic officers, entering the Saudi consulate in Istanbul Monday evening. Saudi officials granted permission for the premises to be searched, a Turkish diplomatic source told CNN. The Police were seen cordoning off the area before investigators arrived. Turkish officials also wanted to search the nearby consul general's residence. 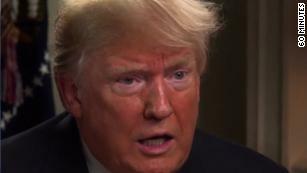 Earlier Monday, President Donald Trump suggested that "rogue killers" could be behind Khashoggi's disappearance, after a phone call with Saudi Arabia's King Salman about the case. Trump said King Salman told him "in a very firm way that they had no knowledge of it." Later Monday, Trump said he had seen the latest media reports. But he said he did not know if the report is accurate or just "rumor." Did you know that the Fed only increased interest rates, once, during Obama's entire 8 years in office, but has increased interest rates eight times, since Trump was elected only two years ago? Donald Trump just made one of the most brilliant moves of his entire presidency. By accusing the Federal Reserve of “going loco”, he is placing the blame for the coming stock market crash and horrifying economic downturn squarely where it belongs, and he is firing up millions of true conservatives among his base at the same time. 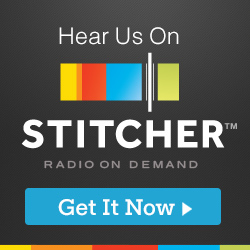 For many, many years, a lot of us have been trying to educate the American people about the deeply insidious Federal Reserve system. As Ron Paul once so astutely observed, it is actually about as “federal” as Federal Express is. 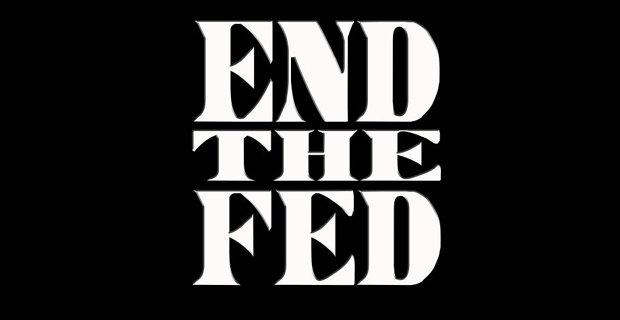 The Federal Reserve is an unelected cabal of central bankers that is running our economy into the ground, and the only way we are going to fix our long-term economic and financial problems is if we abolish it. Of course, the left is going to want to blame Trump, and so Trump is being very smart by pointing a finger at the Fed for aggressively raising rates at a time when the U.S. economy is already slowing down. So let us hope that Trump’s war with the Federal Reserve escalates significantly because we want this to be a top national issue during the 2020 presidential election. #6 The Federal Reserve is not an agency of the federal government, but it has been given the power to regulate our banks and financial institutions. This should not be happening. 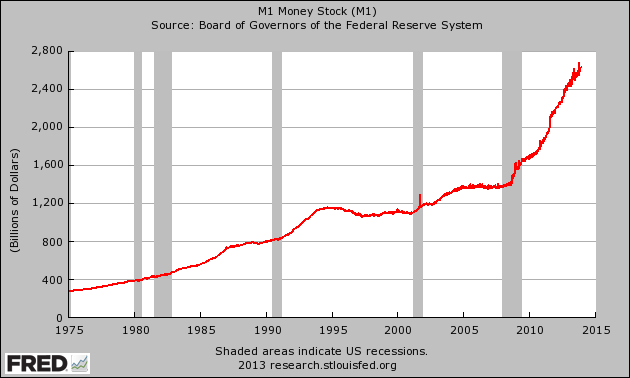 #25 The Federal Reserve has been consistently lying to us about the level of inflation in our economy. If the inflation rate was still calculated in the same way that it was back when Jimmy Carter was president, the official rate of inflation would be somewhere about 10 percent today. Top Agents of Deep State Implicated in Plot to Overturn 2016 Election By Former FBI General Counsel James Baker: "It Was Dead Serious"
Don’t tell former FBI general counsel James Baker that those now-infamous discussions about secretly recording President Trump and using the tapes to remove him from office were a joke. He apparently doesn’t believe it. And he held quite the vantage point — he was on the inside of the bureau’s leadership in May 2017, when the discussions occurred. Baker told Congress last week that his boss — then-acting FBI Director Andrew McCabe — was dead serious about the idea of surreptitiously recording the 45th president and using the evidence to make the case that Trump should be removed from office, according to my sources. Baker told lawmakers he wasn’t in the meeting McCabe had with Deputy Attorney General Rod Rosenstein in which the subject came up. But he did have firsthand conversations with McCabe and the FBI lawyer assigned to McCabe, Lisa Page, about the issue. Word of Baker’s testimony surfaced just days before Rosenstein was set to be interviewed in private on Thursday by House Judiciary Committee lawmakers. Since The New York Times first reported the allegations, Rosenstein, the No. 2 Department of Justice (DOJ) official, has tried to downplay his role in them. His office has suggested that he thought the discussions were a joke, that Rosenstein never gave an order to carry out such a plot, and that he does not believe Trump should be removed from office. But making those statements through a spokesperson is a bit different than having Rosenstein himself face Congress and answer the questions under penalty of a felony if lawmakers think he is lying. Baker’s account to lawmakers this month clearly complicates an already complicated picture for Rosenstein before Congress, assuming he shows up for Thursday’s interview. But even more so, Baker’s story lays bare an extraordinary conversation in which at least some senior FBI officials thought it within their purview to try to capture the president on tape and then go to the president’s own Cabinet secretaries, hoping to persuade the senior leaders of the administration to remove the president from power. Even more extraordinary is the timing of such discussions: They occurred, according to Baker’s account, in the window around the firing of FBI Director James Comey. Could it be that the leaders of a wounded, stunned FBI were seeking retribution for their boss’s firing with a secret recording operation? I doubt this is the power that Congress intended to be exercised when it created the FBI a century ago or the circumstances in which the authors of the 25th Amendment imagined a president’s removal could be engineered. This wasn’t a president who was incapacitated at the time. He was fully exercising his powers — but in a way, the FBI leadership did not like. And that makes the FBI’s involvement in the tape-record-then-dump-Trump conversations overtly political — even if Rosenstein believed the whole idea was farcical. Keep in mind, this is the same FBI that, a few months earlier during the 2016 election, had its top counterintelligence agent Peter Strzok talking to Page — his lover and the top lawyer to McCabe — about using their official powers to “stop” Trump in the election and having an “insurance policy” against the GOP nominee. That insurance policy increasingly looks like an unverified dossier created by British intelligence operative Christopher Steele — a Trump hater himself — that was bought and paid for by the Democratic Party and Hillary Clinton’s presidential campaign through their mutual law firm.